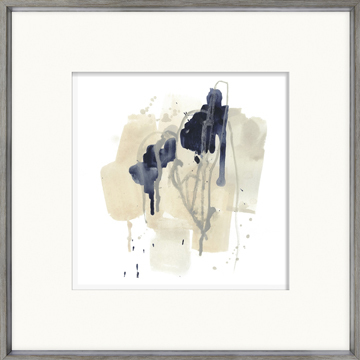 Blush and indigo watercolour abstracts. 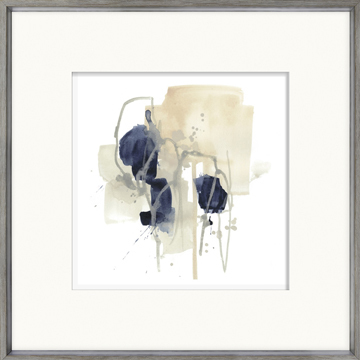 Blush against indigo makes for a pleasing contrast in subtle but energetic little abstract watercolours. 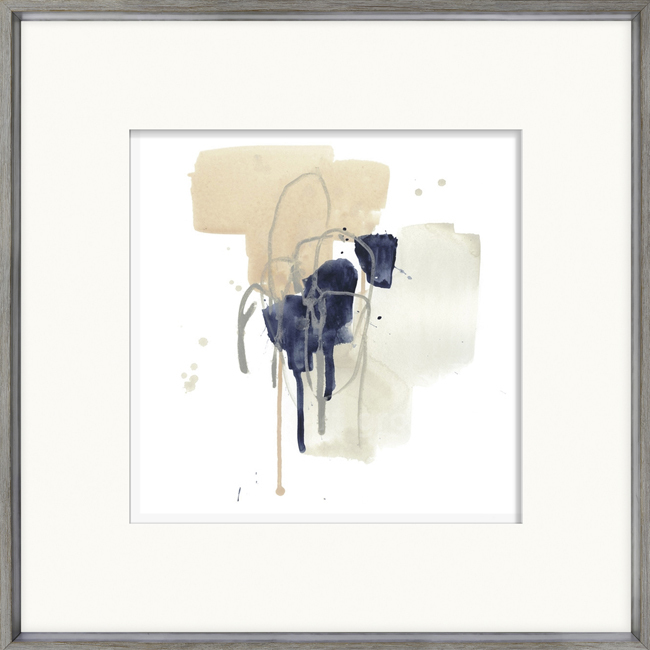 Set under a raised matte and framed in a grey profile with silver inner angle. 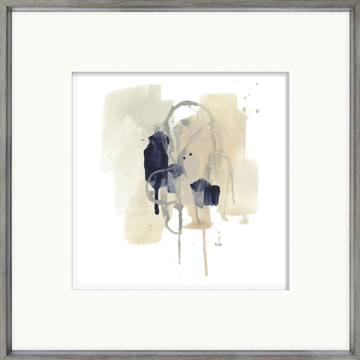 One of four styles.